Lunch was served following the Easter Egg Hunt. Every year we do a community outreach Easter egg hunt. We serve a free Hot Dog lunch and give away prizes. Each child received a bag of candy and a book about Celebrating Jesus’ Resurrection. We also share the gospel message before the hunt began. We had big crowd this year! The weather was beautiful and the church was packed. We hope that everyone here not only had a good time but they truly understood the real meaning of Easter. Pastor Greg Howell organized the Hunt sectioning outside area off for different age groups. 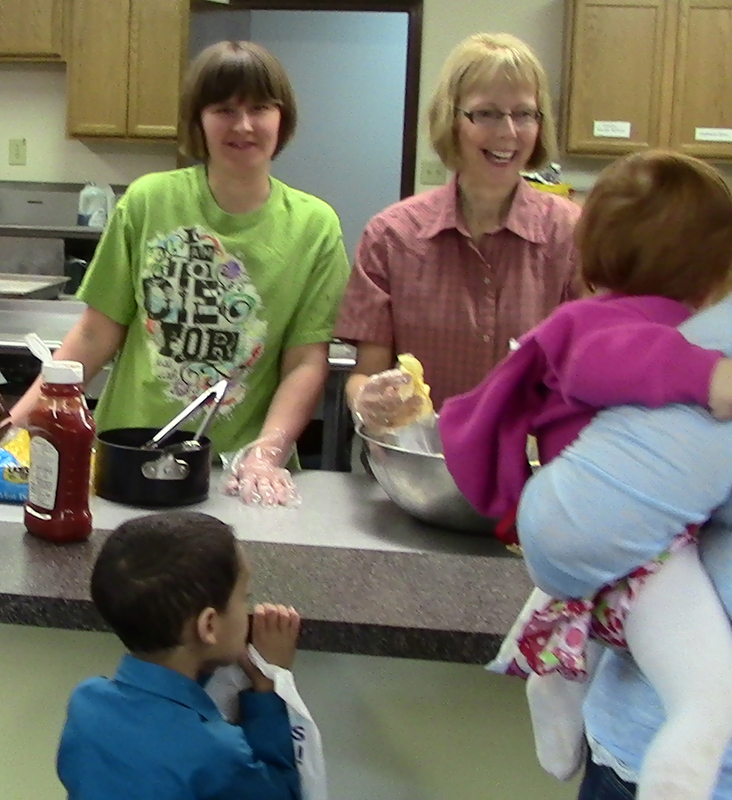 We had a lot of volunteers from our church help hide eggs, give away prizes, cook and serve the lunch. David Quilici (director of worship and youth) gave the opening talk before the Hunt began.